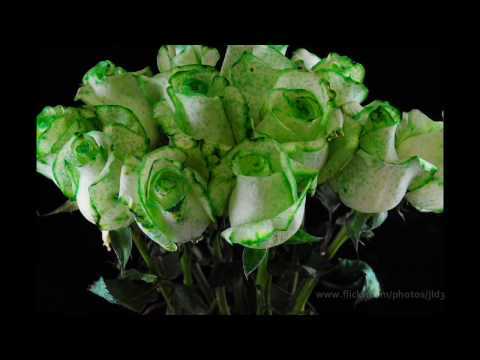 Ever wonder what would happen to a dozen white roses if you put dye in the water? That was the premise behind this project. I had been told that's how you get blue roses simply take white roses and let them drink in blue water. I thought that would make a good time-lapse video so I got all the ingredients together and got started. Well, the first attempt at this (done about two months ago and never uploaded) din't turn out so well. For one, the dye seemed to go straight to the petal edges and then only spotted the rest. I also din't like the composure, the set-up, and the lighting was insufficient.